Design the perfect wedding and reception at Christ Lutheran Church. Our venue is ideal for small to medium sized weddings. It is also ideal for those looking for an affordable option, without compromising the richness and beauty of tradition and local history. Hold either your wedding, reception, or both here at CLC. Contact the church office for more information. Our FAQ page will be up soon for answers to commonly asked questions. ​For non-wedding events, CLC may be the right fit for your upcoming meeting or gathering of small to medium size. CLC already holds several events, such as potlucks, artist and poet exhibitions, dietary club meetings, and other gatherings in our facility. 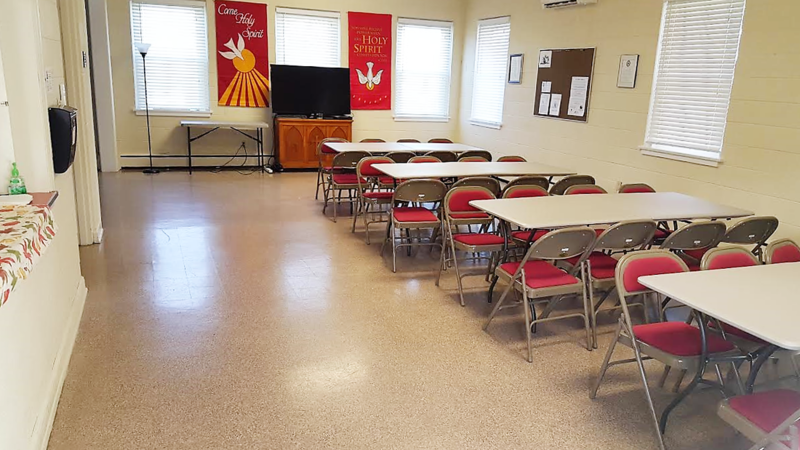 Our Fellowship Hall and kitchen areas offer a cozy venue to gather and celebrate life. Cut costs by utilizing available items on site for free or for a nominal fee. Tables and cushioned chairs (as pictured) are also available and can be rearranged as needed. Our services encompass a lovely balance of both modern and traditional feel. 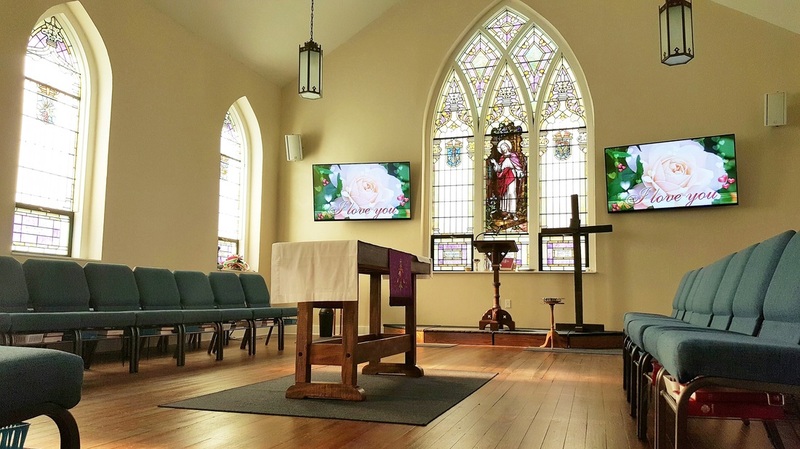 From our tall, beautiful stained glass windows, to our multi-media display, and from our traditional pipe organ to our guitar-led band, our variety allows for finding the most fitting composition for any service, ceremony, or gathering. From music, chair arrangement, to vows, Pastor Andrew works with couples to design a beautiful and meaningful wedding experience. 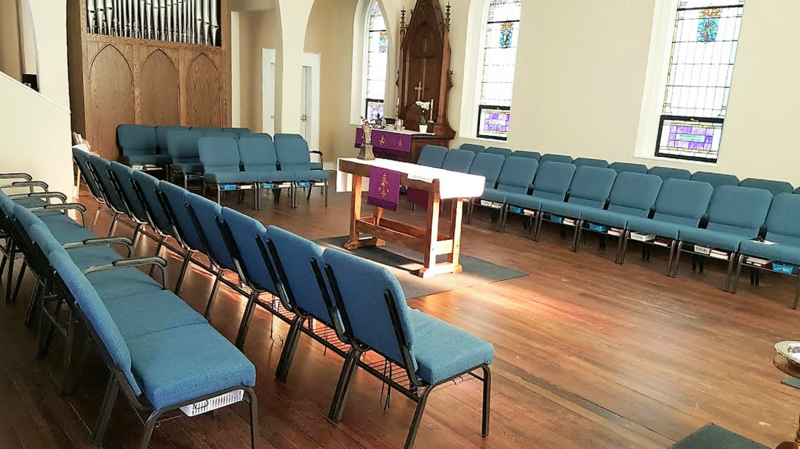 Pictured you see our cushioned chairs and our large pipe organ in the background in the sanctuary.